This is hardly surprising. Even when Muhanna posted about the issue without referencing Elsa and Anna, back in 2009, it created a small earthquake. Rather than revisit the issue myself, I invited a few of those who were debating the topic to weigh in. I have been a dubbing translator for more than 15 years. As I remember, we started off translating Disney films and series into colloquial Egyptian Arabic, and it was a great hit. A few years later, it was suggested (by Disney) to try using more mainstream Arabic, and we tried using colloquial Egyptian plus some MSA (Modern Standard Arabic) words, if the colloquial was too specific to Egypt. This was done in a series called “Bear in the Big Blue House,” and it went off really well. Then, once again, that changed, and at Disney’s request, we started translating films into colloquial Arabic and series in MSA (i.e. classical Arabic)! This went on for quite some time, and I think it had started when I was working on very old Disney series from the 30’s. The idea was that these were classics and it would be nice to keep them apart from everything else, since they did stand alone. Some of them had Mickey Mouse as drawn by Walt Disney himself. So, it figured. But, MSA somehow got the best of us, and it was probably a marketing decision, when we were asked to dub everything into MSA. I think it had to do with Al Jazeera Children’s Channel buying the rights to all the Disney films. We were even asked to re-write dialogue and songs of films that we had already dubbed years ago into MSA. I did that with Lady and the Tramp 1 and 2, but then refrained. It was too much! I felt I was massacring the films and my work. The changes involved not only the language but also the concept of the films! The problem is that MSA is a “read only” language — I mean, no one uses it in real life. So having animated characters speak in it is just not normal. Add to that the fact that ethnic diversity is totally lost in film characters, since there is no ethnic dialect in MSA. Songs and jokes are congested and restrained because of the nature of MSA and its many rules and regulations. Fans from all over the Arab World, who have different Arabic dialects, have tried to resist this change, and petitioned to Disney to return dubbing into Egyptian colloquial. It is widely understood and loved all over the Arab countries, since most of feature films and many series and songs are written in the Egyptian dialect ever since the early 20th century. The fans even have several pages on Facebook that spell out this resistance. One of them is actually called “Haters of Al Jazeera Children’s Channel”! I personally love classical Arabic, but using it for dubbing children’s films and series, or even feature films and series, just strips the work of many artistic qualities and leaves much to be desired. Zeinab Mobarak is a writer, puppeteer, and professional dubbing translator. Read more about her dubbing work. The notion that Modern Standard Arabic is inaccessible to children just doesn’t square with reality. My generation grew up watching Japanese cartoons dubbed into MSA and we loved them. Twenty years later, there is a Syrian band playing theme songs from these cartoons in the bars of Amman to nostalgic children of the 1980s – 1990s who still remember the words and sing along (at an alarming volume). Not all MSA is the same, it can be simplified and the choice of words helps determine how accessible it is. 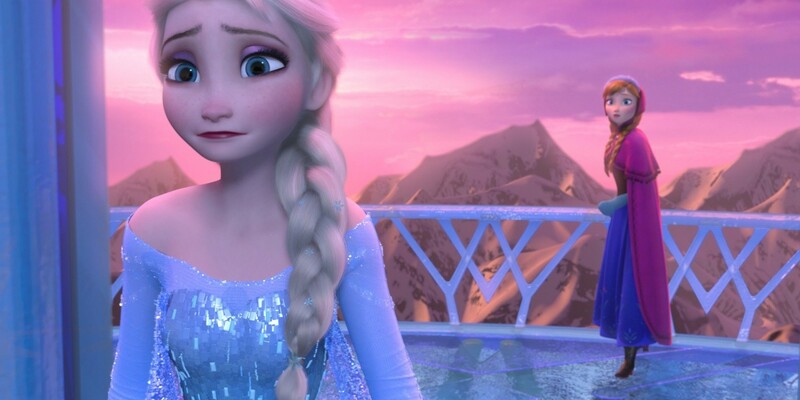 That fact that Disney has done a hack job of dubbing Frozen into MSA says nothing about the language itself and everything about Disney’s complacency in catering to the Arabic speaking market. It seems to be en vogue to dismiss MSA as an obsolete and irrelevant linguistic form. Elias Muhanna asserts that we are in “the age of the Arabic vernacular” and the renowned Iraqi writer Hassan Blasim opines that “When you write in literary Arabic you are like something from history.” It is true that MSA has a limited ability to give expression to experiences in our everyday lives, but it is also true there are many things that cannot be expressed in vernacular Arabics. Just try to have an in-depth conversation about politics or philosophy without lapsing into MSA – the vernacular dialects just do not have the vocabulary. More importantly, how can we deny the value of sharing a standard language with 300 million other people? Without my knowledge of MSA, I would never been able to decipher the Arabic dialects of Tunisia and the Gulf during my time in those countries. I would have been trapped in the linguistic silo of my Palestinian/Jordanian dialect, trying to communicate with other Arabs in English or broken French. The debate about MSA versus vernacular Arabics bothers me because I feel it pushes people into accepting a false dichotomy between the two. The reality of language is so much more flexible than that. There is so much room to make MSA more expressive and relevant by incorporating common colloquial words and phrases into the language used, as many writers of Arabic literature have been doing for years. Thoraya El-Rayyes is a writer and literary translator living in Amman, Jordan. Her translations of Arabic fiction have appeared in various literary magazines including World Literature Today, The Common, CutBank, and Banipal. When I got a tweet from a young Qatari that “Frozen” was going to be dubbed in Arabic, I automatically tweeted back saying that I hoped it would be in Egyptian Arabic. The young man was shocked at my suggestion. A young Syrian living in Canada also chimed in that she thought Egyptian Arabic was a bad idea. And what the heck was wrong with “fus’ha”? And what about millions of Arab kids who didn’t understand Egyptian? Having had these futile debates before I was not afraid to point out that Egyptian is merely the Hollywood of the Arab world, and that Fus’ha is formal and dry, whereas Disney-speak isn’t. The Qatari said he couldn’t wait to hear “Let It Go” in Modern Standard Arabic (MSA). I cringed as I explained that unless the translators were geniuses, the song will probably be really bad. Man, how I hate when I am right. What was Disney thinking? I am always astounded by Arabs defending “fus’ha” merely for the principle. They retort with all the canned responses (read that as: they have no opinion of their own and only repeat what they had heard from dinosaur purists who want to “preserve” Arabic by freezing it in cryogenic tanks.) (a) Arabic is the language of the Qur’an (never mind that the Qur’an was the dialect of Quraish – yes *gasp* a dialect!). (b) Arabic is our identity, our honor (drama queen-ism galore!) Not one of them sees it for what it is: a means, a tool, an instrument of communication. Two important words: tool (constantly being developed and upgraded) & communication (if no one understands it then there is zero communication). So as I always end my debate with the purists, I will end with this: when you teach your children “fus’ha”, where do they use it? They don’t use it to talk to their parents. They don’t use it when they walk into a grocery shop manned by a south Indian shopkeeper, and ask: هل لي برغيف من الخبز (The equivalent of: Dost thou hath a loaf of bread). Do they? So why must we deny the fact that dialects are 90+% Arabic and can also be used in children literature, so that our children don’t live their lives in this hypocritical duality that they simply do not comprehend? Modern Standard Arabic isn’t Quraish Arabic, is it? So, allow the same process to happen again, gently, guided by those who know what they are doing. Please. Noura Noman is an Emirati mother of 6 and author of UAE’s first Arabic YA SF novels, Ajwan and Mandan. Personally, I oppose the suggestion that children’s literature and entertainment should be translated into local dialects. The MSA/Vernacular dichotomy is incredibly problematic and a recurring issue in Arab countries since at least the ’50s and ’60s when Taha Hussein supported the use of MSA. My worry is that if children are not grounded thoroughly in MSA, they will increasingly feel that MSA is not the “real” language of feelings and entertainment, but will simply resort to the use of their local dialect given that it already consumes so much of their media and daily speech. My friends and I who were born in the ’80s have a deep fondness and nostalgia for the cartoons of our childhood, the vast majority of which were Japanese anime dubbed into MSA, such as Captain Majed, al-Muhaqqiq Conan, Garandizer, Adnan wa Lina, etc. Ask any twenty-something about the impact of Captain Majed on their youth, and whether their fluent MSA unsettled, distanced, or alienated them in any way whatsoever. I would argue the exact opposite – it taught us that MSA is a complete natural language of expression and emotion. So why is MSA important enough to protect? I see far greater social and economic benefits to the use of MSA in the longterm. The internet is radically bringing internet-savvy Arabs together, and anyone who has ever spent any time on the infamous Arabic forums will know that Moroccans, Iraqis, Sudanese, Syrians are actively cooperating and communicating with one another in MSA. A guilty pleasure of mine is ArabComics.net, a website where Arabs from all over the world work together to translate western comic books into Arabic. The use of MSA is obligatory on their forums and in their translations. How would a child brought up on vernacular cartoons and books feel about Wolverine defeating his opponents in MSA? Would it not simply make it more unnatural for them? And in light of increasing pan-Arab media, music, and entertainment, wouldn’t a push for MSA make even more sense for us economically? I do not oppose the promotion of local dialects in the long term, and in fact, my main concern is the timing. With the dismal level of Arabic secondary and higher level education, promoting vernacular dialects will only decrease the usage of MSA, which I feel is already threatened by increasingly right-wing nationalism across the region. MSA’s standing in society is precarious in Egypt, where the rate of illiteracy is nearly 30%, in Lebanon where there are social movements like Fa’el Amr to protect Arabic from the encroachment of English and French, in the UAE where majority of university students are educated in English. How is it possible that a country like Norway with 4 million people, or Finland with 5 million, can teach their students engineering and medicine and physics in their own languages, and we cannot? Until we have drastically higher literacy rates and a higher education system where most students actually learn in their own language, I cannot support the promotion of local dialects. Lastly – which local dialects? Muhanna’s article states that many Disney movies in the past were dubbed in the Egyptian dialect. Well this is actually not that accurate. They were dubbed in the Cairene dialect. In “What is Arabic?” by Jan Retso, he argues that local dialects lie on a continuum of variance, a spectrum of minute changes. There is no Egyptian dialect. There is no Saudi dialect. Only stereotypical versions of each. Both countries actually contain a vast variety of dialects and registers. Why support the hegemony of the Cairene dialect over all the others? The Sa’eedi child, the Siwan child, the Sinaitic child – none speak in the Cairene vernacular. Should books be published in their local dialects as well? Or should we simply pick one from each country and promote that? Should we also publish and translate into the dialect of Fayfa in Saudi, on the basis that it is what the children hear and speak everyday? I believe that with more and more inter-communication on social networks and on forums, Arabic dialects are actually in the process of amalgamating and absorbing one another. In the past, an Algerian would never have come into contact with the Homsi dialect. Today, Arabs on social networks such as the “r/Arabs” subreddit on Reddit.com have created a Dialect Project for all Arabs to come into contact with each other’s dialects and understand their intricacies. Currently these are completely non-standardized dialects with no hard-fixed spelling or grammar rules. Would not standardization at this point only hinder their evolution? And would not publication and translation in a vast variety of local dialects only create a cacophony of competing non-standardized languages? If I walk into a bookshop to get a book for my child 10 years from now, will I have to navigate my way through the Homsi, Aleppan, Cairene, Sa’eedi, Hejazi, Gazan dialects to find the one I prefer? Would it not be far simpler and more efficient to promote the use of MSA and boost literacy and education in the Arab world instead? Tarek H. Shalaby is a graduate student of Architecture and Urban Design at Cambridge University in the UK. His thesis discusses civil society and public space in Qatar. I just wanted to comment on one point, namely that “watching cartoons in modern standard Arabic was an important educational aid,” which for me sums up my problem with dubbing into MSA. I remember how shocked I was when I once watched the Arabic-dubbed Teletubbies. Where in English they speak a version of baby-English, in Arabic they spoke MSA! And so it is that the Arabic child, from pre-school years until their teens, rather than watching kids’ shows for pure enjoyment, watches them as an educational tool! How come adults are allowed to watch all their entertainment in their local dialects, but little kids are denied that simple pleasure because they need to be constantly educated, never entertained? Oh, I agree so wholeheartedly with the point made in this article! Nesrin Amin, formerly an instructor at University of Exeter with an interest in Arabic language and linguistics, now works at Cambridge International Examinations. Previous What Does the Blossoming of Literature Festivals Mean for Arabic Books (in Translation)? All languages are theoretically accessible to children. I used to watch the same MSA cartoons you mention, in addition to other cartoons in French and British English. They were all accessible, in one way or another, to me. However, none of them were as accessible as my mother tongue. I personally don’t think Disney did a hack job of dubbing Frozen into MSA; I think they did a splendid job. I’ve studied the songs quite closely and found them to be very skillfully rendered. I would use them as teaching materials for my students. The problem is not the translation; it’s the fact its language is simply not connected with the realms of affective experience that the vernaculars dominate. This is simply untrue. When I’m not spending my time translating Classical Arabic, I’m usually watching Arabic political talk shows filmed in Lebanon, Syria, Egypt, and the Gulf. With the exception of the Al Jazeera shows, most of these programs are in a mixture of vernacular Arabic (maybe 75%) and what linguists call “Educated Spoken Arabic” (25%). The conversation is very sophisticated and so is the language. It is not readily comprehensible to a child, even though it’s in dialect, in the same way that an American 6 year-old would have trouble following a discussion about climate change on a BBC radio show. More importantly, how can we deny the value of sharing a standard language with 300 million other people? This is the real issue, I feel, behind most people’s ambivalence about accepting cultural expression in the vernacular languages. I agree with Thoraya: there is something very precious about a cosmopolitan language, whether it is Arabic or English or Hindi or Mandarin. I have dedicated my entire professional life to reading and teaching this language. I find it endlessly fascinating. At the same time, I feel that to resist literary production in the vernaculars is misguided, as they are enormously rich vehicles of cultural expression and experience. For most people, the dialects permit even richer forms of expression than MSA, as the vast majority of Arabic-speakers have a secondary degree of proficiency in this cosmopolitan language. So why is MSA important enough to protect? I see far greater social and economic benefits to the use of MSA in the longterm. The internet is radically bringing internet-savvy Arabs together, and anyone who has ever spent any time on the infamous Arabic forums will know that Moroccans, Iraqis, Sudanese, Syrians are actively cooperating and communicating with one another in MSA. Yes, there is much to be said for MSA’s role as a cosmopolitan language. The problem is that MSA currently dominates nearly all written expression in Arabic. MSA is not in any danger, at least not from initiatives promoting literary use of the dialects! 🙂 On the other hand, if there is a case to be made for it’s being endangered, it is the perennial argument about how no one really is fluent in MSA in the region, and everyone has an inferiority complex about their ability to speak “real Arabic”, etc. That’s not the fault of the vernacularists. What do you mean by “right-wing nationalism”? Gamal Abd al-Nasser frequently used the Egyptian dialect in his speeches, certainly more so than Sisi does, to say nothing of the religious establishment and the salafi movements that are emerging. There is no correlation I can see between MSA and progressive politics; much to the contrary. Until we have drastically higher literacy rates and a higher education system where most students actually learn in their own language, I cannot support the promotion of local dialects. What is “their own language”? This is an ideological point, not a reflection of reality. It would be more accurate to say: “…a higher education system where most students actually learn the cosmopolitan version of Arabic that is necessary to communicate with other Arabs whose dialects are mutually unintelligible.” Again, this is part of the problem in the region: people feel that they aren’t real Arabs or full human beings if they are not fluent in “their own language”, when in fact they are fluent in their own language (the dialect they use everyday), and they have some functional proficiency in MSA. <i<Muhanna’s article states that many Disney movies in the past were dubbed in the Egyptian dialect. Well this is actually not that accurate. They were dubbed in the Cairene dialect. This is a valid point, but it’s nothing exceptional to Arabic. Every language is composed of multiple dialects on a spectrum, and the prestige dialects tend to be the dialects of the big cities. Sure, it would be simpler and more efficient to have one language. Why not Esperanto? Or Global English? If the primary desideratum is simplicity and efficiency, MSA is the way to go. But reading a book to a child is not just about inducting them into the language of convenient communication; if it were, we may as well read our kids the dishwasher manual. Literature is also about tapping the realm of psychic experience, interpersonal relations, emotion, humor, and cultural references that are, in many ways, lost in translation. That incommensurability is not something to be feared but rather to be treasured. Thanks for the response Elias. After reading through everyone’s thoughts, I realized that the entire question depends on one critical issue: how you view the health of MSA. I took it for granted that promoting dialects would be detrimental to MSA across the region, but you’ve repeated more than once that MSA is not going anywhere. So I think one’s opinion on this issue is based almost entirely on how secure they view the place of MSA in Arab societies. But that’s another discussion. About nationalism and the vernaculars, I’ll leave that aside since Thoraya already posted a great comment about it. My only other point is regarding the awkwardness or ‘naturalness’ of MSA that several people mentioned. They prefer movies in a local dialect because they don’t feel MSA is fun or emotive enough for a Disney movie. I think Thoraya’s response is fantastic, but I wanted to add that the level of awkwardness someone feels towards MSA in children’s movies is directly related to the level of their exposure to it in their youth. I don’t think this is an issue with MSA at all, as Thoraya pointed out. I think if someone finds an MSA movie awkward or unnatural (and the translation is not bad), then it is because they haven’t been exposed to it enough in their youth. This isn’t surprising given the level of Arabic teaching. I personally know Arabs who are raised in their home country, go to private American or British schools, and then to American universities, and cannot read a newspaper today in Arabic. This is unheard of in developed countries. You simply will not find a Finnish or Italian or German or British person with a higher level education, who has lived their entire life in their home country, and cannot read in the higher register of their own language. This is why I keep coming back to the issue of MSA teaching and education from primary school to university. When a certain socio-economic class is better at an entirely foreign language like English or French, then we have serious structural issues in the society that need to be addressed first before any kind of dialect or vernacular promotion can happen. What a wonderful post!!!! Thank you Marcia and all the commentators/translators/passionate linguists who pitched in. Respect. Just a quick response to Elias’ response to my response to his New Yorker blog (is this getting absurd?). The Educated Spoken Arabic Elias refers above is a pidgin-esque (or koiné to be more precise) mix of MSA and vernacular dialects. The fact that people often use this form of Arabic during discussions that require one to communicate sophisticated intellectual ideas is exactly what I was referring in writing about the inadequacy of everyday vernacular dialects for expressing such ideas. It is clear from observing such conversations how people often switch into MSA (even if only for one sentence, or a phrase of one sentence) in order to express more sophisticated ideas and then back into the vernacular. I am not a linguist by any stretch of the imagination but I notice myself and others doing this, and I know that Arabic speakers are well-known as incessant code-switchers. With regard to Tarek Shalaby’s point about nationalism, I think this is a very important point that places this discussion in its political context. It is certainly the case in Jordan, for example, that the regime promotes an invented national “vernacular” as being the authentic “Jordanian” dialect despite the fact that no such thing exists (indeed, I often find myself struggling to understand people from some areas of the country). The promotion of this dialect has historically been part of the regime’s efforts to create a national identity* that it can use to create legitimacy for itself and which turns people from neighbouring countries into an “Other” – despite the strong historical links between people across the Levant. In this context, the promotion of invented national “vernaculars” is not only about the expression of affective experience but also serves a political purpose. I believe this may be the problematic nationalism that Tarek Shalaby is referring to in his contribution: “qutri” nationalism based on colonial borders that serves the interests of Arab regimes. *For further reading, Joseph Massad discusses the invention of the “Jordanian vernacular” in his book Colonial Effects. (And as a side note, please note that I am not a member of the cult-ish Massad fan club). If we’re going to point out the political ramifications of promoting a certain Jordanian dialect, why not also point out the political ramifications of promoting a dialect like MSA or any cosmopolitan language (global English, Mandarin, etc.)? If you say that you can’t fully understand the dialects of people in certain areas of Jordan, how is the Jordanian government’s promotion of a Jordanian koiné to facilitate intra-Jordanian communication any different — structurally speaking — from the promotion of a intra-regional koiné (MSA) to facilitate communication between Moroccans and Jordanians? Both of these policies rest on certain political values, certain imagined communities, and certain assumptions about identity and belonging. The problem with this line of thought, in my view, is that it assumes that MSA is somehow less invented and more authentic than national vernaculars, which is very peculiar, to my mind. Any process of linguistic standardization requires some degree of artificial homogenization of dialectal variants. If there were such a thing as a standard Jordanian dialect, it would likely elide differences in speech patterns from around the country. But MSA does not even try to accommodate these differences; it is artificial by design. (Not a pejorative designation; a technical one). I agree with you one hundred percent that both MSA and koiné national vernaculars are artificial. The thing is, there is a widespread notion that these koiné vernaculars are somehow the “authentic voice of the people”. That is why I feel it is important to highlight the fact that political elites have often played an important role in inventing and promoting them. I am certainly not claiming that MSA is somehow more authentic. Vernacular dialects have much aesthetic and cultural value and should be celebrated. However, we should celebrate these vernaculars in an intelligent way that is sensitive to the political context in which they developed and that is cognizant of the role of Arab regimes in inventing and promoting them. In this way, we can celebrate and enjoy these vernaculars without unintentionally feeding into chauvinistic nationalist political agendas or being co-opted by them. We are in complete agreement that policies about language reflect political values, certain imagined communities, and certain assumptions about identity and belonging. Clearly, I have a preference for a community that is not constrained by colonial national borders. The people of our region share much in terms of the historical trajectories of our societies, similar experiences of colonialism and of post-colonialism and much else besides. We have a lot of talk/ write/ sing/ shout to each other about. We don’t have to talk/ write/ sing/ shout about these things in Arabic but since the use of Arabic is part of this shared history, it seems to be the obvious choice. The people of the region, of course, include non-Arabic speaking populations such as the Kurds and Amazigh peoples who must also be involved in these discussions (perhaps in Esperanto). P.S. The koiné vernacular promoted by the Jordanian regime did not elide differences in speech patterns but rather privileged certain speech patterns (those being stylized “bedouin” speech patterns of dubious authenticity) over others. This was part of a wider effort to “bedouinize” Jordanian national identity with the aim of juxtaposing it with Palestinian national identity and casting Palestinians as an “Other” (which they historically were not). I personally wished people would pick up more on Thorayya’s original point that the lines between MSA and colloquial aren’t clear cut. A word can really exist in either register, or indeed, is often blended between registers, much to the confusion of linguists. Saying that you can only ‘really’ say certain ideas in MSA is a bit of a misstatement, since that requires you define any word on an abstract subject as being MSA – and you’ll often find clear examples of such an “MSA” word being adapted phonologically and morphologically and placed into the framework of the local dialect, even if it’s not regularly used in that dialect. The problem has often been that define as MSA as being the “opposite” of colloquial. Whatever is familiar cannot possibly be MSA, so you have to find an alternative, even if both choices are easily found in classical Arabic literature. For example a translation of a Roald Dahl novel uses ‘ibtaa3’ instead of ‘ishtaraa’ presumably since the latter sounds too closer to the local ‘shraa.’ This can get to a pretty complex level – people will use an ‘af3ala form of a verb instead of a fa33ala verb, since the latter is more common in colloquial.That process is one of the things that makes MSA aimed at children so unpleasant, since the words the authors/translators use are inevitably the furthest from (any) local dialect. It doesn’t have to be like that – you absolutely can have a more localized, and generally more approachable, MSA. Take Hanna Mina, not the best author ever, but his dialog is clearly “MSA” from a syntactic and morphological perspective, but could be read aloud in Syrian Arabic with little modification. It retains a local color for that reason, but is readable to a large audience. It’s also important to note that “ESA” is not without precedent at all – vast quantities of ‘classical’ Arabic literature are actually written in their era’s equivalent to ESA, what linguists refer to with the kind of lame name, “Middle Arabic” (middle doesn’t refer to era like it does in every other language, but to register, which is why it’s a terrible term). That register of Arabic is extremely early, and Classical Arabic doesn’t really develop as such until after our first ‘Middle Arabic’ documents. Also, as Elias notes, Classical Arabic itself is a produce of standardization. Consider all the crazy variant forms that Sibawayhi lists as acceptable in al-Kitaab, or which are recorded by al-Farra’ and others. Though they are theoretically part of ‘al-3arabiyya’, Classical Arabic is remarkably homogeneous. You almost never find a هاتاك (meaning ‘that’) in Classical Arabic outside of a grammarian’s lists (at least, not in the 5 million word corpus I checked), or the “Hudhayli” الذونَ – clearly, regional variation was swept under the rug that early. And finally, I think the last respondent was spot on – why does everything have to be some overwhelmingly, crushingly educational and wholesome? Can’t anyone enjoy anything just for the aesthetic experience of it, especially children? Moreover, does it really help? Most of the Jordanians either claimed to be, or performed as if, they were incapable of speaking in MSA at length, no matter how much Captain Majid or AlJazeera News they watched. Several nice points, Aga Skander. I’d like to echo Skander’s point about how choices in MSA are often made not in any basis of what is classically acceptable but what is different from colloquial Arabic(s). An excellent example of this is the decision not to use ما + ماضي in past negation. Instead, لم + مضارع is considered “correct” MSA. But the fact of the matter is that the former was used about as frequently as the latter, but since the former is also used in colloquial, it’s avoided in MSA. So the clunkiness of MSA is often not (or at least not only) a question of lack of exposure to MSA but rather a conscious decision to use certain structures because they are as far as possible from colloquial Arabic. So while your average translator or writer doesn’t know the frequency of any particular structure, there is definitely a feeling that anything that sounds too much like colloquial must not be “good” Arabic. An interesting debate. When it comes to translation, there are always lots of levels of meaning about which decisions have to be made. The comment about the Teletubbies in translation really drives home the difference in attitude about language use in TV media in production vs. import culture. A great exchange on points of view… too bad it can probably only be easily expressed in ‘Modern Standard English’ or (just possibly) one or another ‘global cosmopolitan’ language. But let’s not kid ourselves: if someone were to try to recreate (“translate”?!) this disc into “Arabic”, no one would even try to do this except into MSA or a fus’ha-rich, albeit vernacular-infused, ‘Educated Standard Arabic’. The latter discussions in this exchange importantly point out that current renderers of Arabic (e.g., from western languages, etc., into what “could-be a more living, less clunky MSA”) too often seek to distance literary forms and even journalese from spoken forms. But there are counter- tendencies. And a transnational “middle Arabic” is evolving (yes, the fada’iyaat and talk shows, but also somewhat into print and social media) and it is massifying, even if this will still follow national varieties of vernacular usage. Some of the proponents of vernaculars will, astutely, aid and abet this phenomenon and “classicists” will relax a bit. Folks, we are all classicists in our languages. From our childhoods forward. For emotive purposes as well as the “technical” requirements of Our Age. Among the many issues for Arabic will be orthography. No need to latinize, and a struggle over competing roman orthographies would be truly injurious. Still, a solid movement to “standardize” (yes!) Arabic orthography for the rich infusion of spoken forms will help answer some of the concerns of both MSA and vernacular camps. But never end the debate, which is about language, after all. With my love and pride of classic Arabic language surely !! classic Arabic in its suitable fields is perfect and fantastic ..
but really it is not suitable for Disney movies !! it is the most modern , the easiest and the funniest !! and classic Arabic one now , and you will know the difference , the new dubbing failed perfectly!! please our lovely Disney listen to us !! we are your real fans ,even if those who not prefer Egyptian dialect with all respect for them , but there is no Consensus on something in this world and sure there will be Objectors , but finally the opinion of the majority must be performed , it is democracy ..
Or what is the problem in making 2 Arabic versions , Egyptian dialect one & classic Arabic one ?? We are 22 countries in Arabic world !! more than 370 million people !! 5 times more than any country from those which have more than one dubbing version !! it trying to impose its will as it buy rights of Disney movies in middle east !! even if this new dubbing failed , even if few fans watched it !! Only because of her hate to Egypt !! how can Disney permit that farce !! Disney we are your real fans !! and our memories simply ?!!!! please Disney bring back Egyptian dialect again !! I strongly sympathize with many of the comments here about the unnecessary rigidity of MSA. As a native English speaker who has been fluent in both MSA and a dialect (not Egyptian) for some years now, I’ve never really understood why people are sometimes so uptight about what is “correct” and what is “colloquial”. It’s great that the average educated Arab is much closer to being able to understand the classical works of his ancestors in their original text than the average educated Englishman is to being able to understand Beowulf (or even Shakespeare)…. but it is hard to understand what would really be lost by tolerating more flexibility in the formal register. On the original topic, I know many people who are still absolutely in love with the MSA-dubbed Japanese cartoons of their childhood, so even though it seems strange to me I can accept that it is healthy to have at least some cartoon series in MSA. But a full-length movie with songs seems a bit heavy.